It’s beautiful, surreal and kind of foreboding to see the moon circled in that ethereal glow. This is how the moon rose this evening over Holdfast Shores in Glenelg. 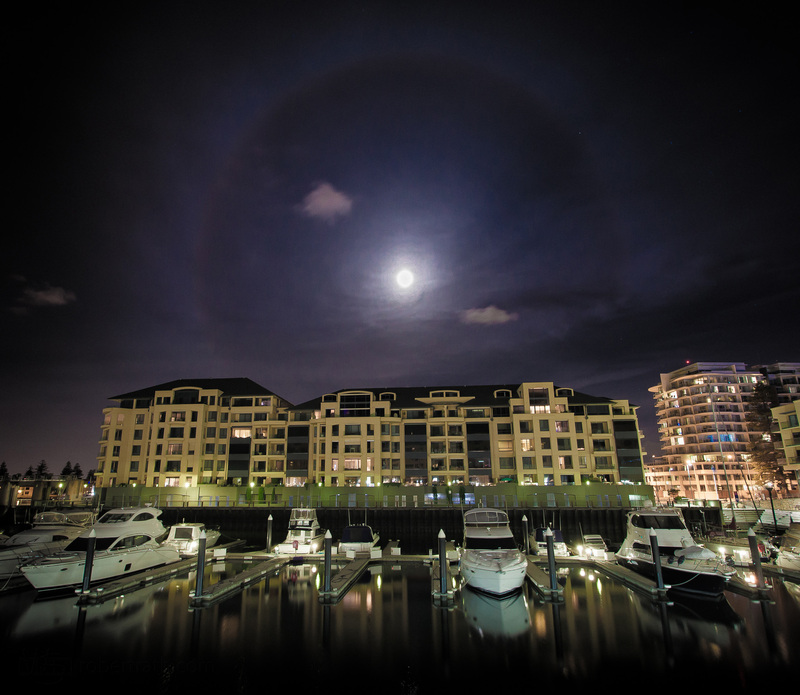 The ring of light you see is caused by the moon’s light passing through ice crystals high in Earth’s atmosphere. The light is bent in a way similar to a lens and the shape of the ice crystals causes the moonlight to be focused into a ring.